This DTC is stored when the blind spot monitor sensor LH detects a +B short in the blind spot monitor indicator LH. 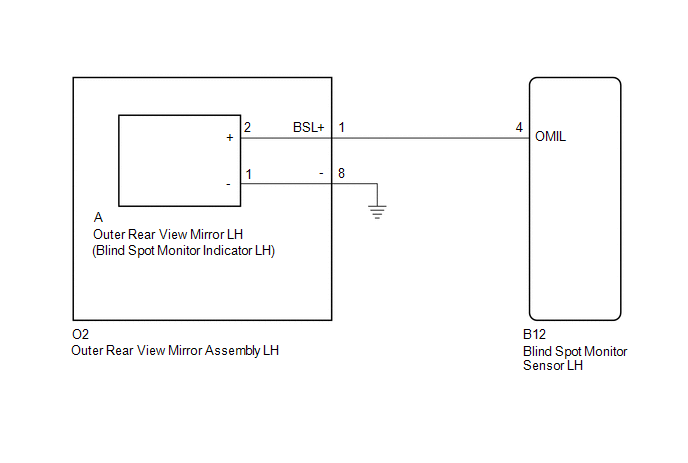 (a) Disconnect the blind spot monitor sensor LH connector. 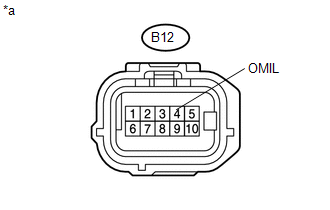 (b) Disconnect the O2 outer rear view mirror assembly LH connector. (a) Reconnect the O2 outer rear view mirror assembly LH connector. (b) Disconnect the blind spot monitor sensor LH connector. (c) Disconnect the A outer rear view mirror LH connector.